An armored Toyota Land Cruiser manufactured by The Armored Group passed rigorous ballistics and blast testing this summer at a facility in Ulm, Germany. The test results earned this TAG armored SUV a certification of VR7 (Resistance Class 7) under a set of German guidelines for armored vehicles known as VPAM BRV 2009. TAG is one of the few companies in the world to earn this accredited certification. The VPAM BRV 2009 standards for what the German authorities refer to as “specially protected vehicles” (armored vehicles) are exacting, to say the least. The ballistics testing protocol calls for firing more than 250 rounds at predetermined areas of weakness on the vehicle. These shots are taken at precise velocities with specified calibers. These areas of the vehicle determined to be the most vulnerable are fired at, and the angles of fire chosen are those deemed most likely to allow armor penetration or an unintentional opening of one of the vehicle’s doors. A vehicle that allows penetration by even a single round – even partial penetration – fails the test and is disqualified from certification. Thus, an armored SUV or truck that receives a VR7 bullet-resistance rating under VPAM BRV 2009 is essentially bulletproof. The blast testing protocol under VPAM BRV 2009 calls for German- and Swiss-made grenades to be detonated on the roof of the vehicle as well as underneath it, including detonation of two grenades simultaneously. In addition, the testers detonate a land mine under the vehicle and, to simulate a roadside IED blast, detonate a quantity of PETN explosive equivalent to 15 kg of TNT just a few meters from the side of the vehicle. For the vehicle to pass the blast test and receive certification, its passenger compartment must not be penetrated or deformed. Also, pressure sensors placed inside the passenger space must indicate that the vehicle damped the force of the blast wave to survivable levels. The facility that tested TAG’s Toyota Land Cruiser, Beschussamt Ulm, is the largest of six such facilities in Germany that were established for the purpose of performing rigorous, standardized testing and certification of weapons and security technology. This VPAM BRV 2009 VR7 certification is just one of the latest achievements for The Armored Group. TAG has been proudly manufacturing state-of-the-art armored vehicles since 1992. 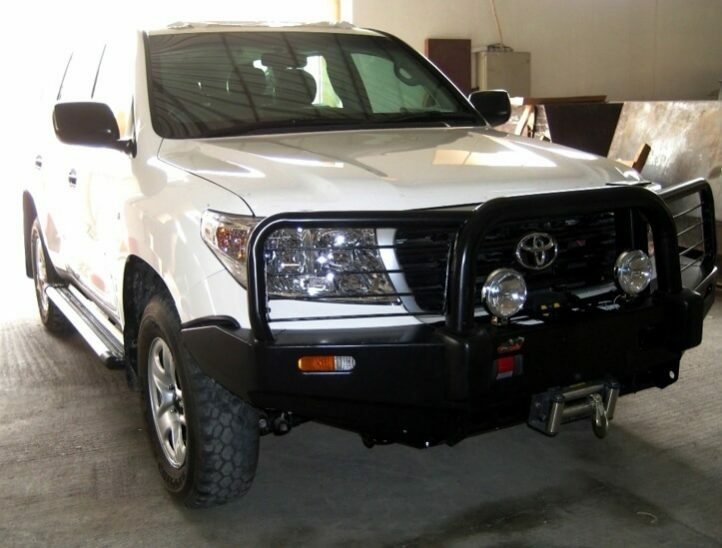 We make, sell and service a wide range of armored SUVs, sedans, trucks and vans for a worldwide clientele. To have our experts find the solution to your armored vehicle security needs, call The Armored Group today at 1-602-840-2271.